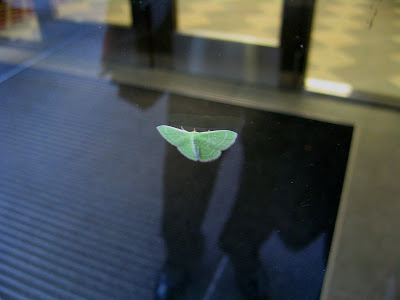 Hundreds of people marched in and out of our building vestibule, but my sharp-eyed husband was the one to spot this tiny green moth on glass. We blocked traffic to each take a photo. He's probably stoned on the chilly air. Low 60s this morning. 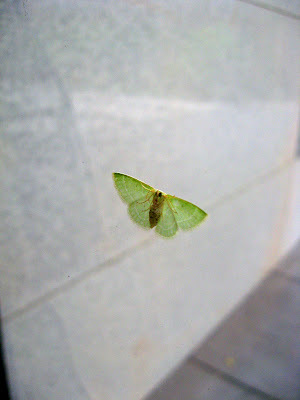 Love the interwebs - this little moth is called a bad wing or Dyspteris abortivaria. It's relatively uncommon. you have an observant husband for sure. it's lovely and i'm glad you stopped traffic for a pic.